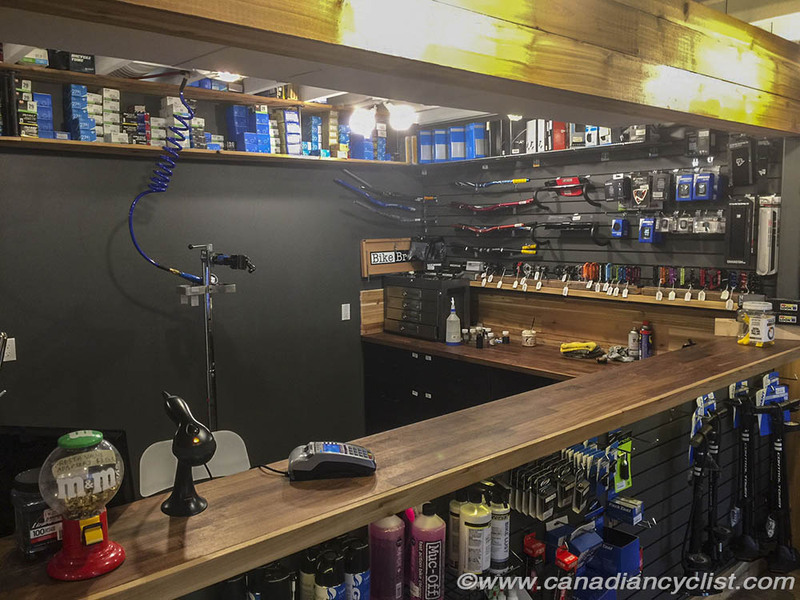 Bike Bros has been voted as a Canadian Cyclist Best Bike Shop for the past four years, a testament to its quality and the loyalty it inspires among customers. 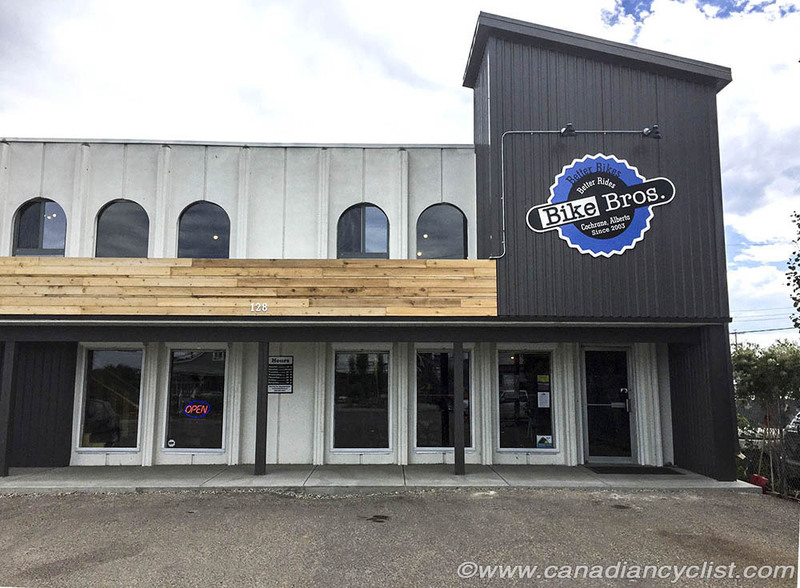 Bike Bros began in 2003, based in Calgary, however, in 2006 the shop relocated to the small town of Cochrane, about half an hour outside of Calgary on the way to Banff. I visited them in July, when I came out for the national mountain bike championships in Canmore. They had moved into their newest location less than eight months earlier, in December of 2015. In the end unit of a small strip mall, the new two storey shop was stripped to the walls and completely rebuilt, resulting in an airy, open space, with the front half ceiling extending to the second floor and the back half main floor a repair shop while the upstairs section above it contains further bike showroom space. The shop is about 5000 square feet in total, with 60% retail display space. 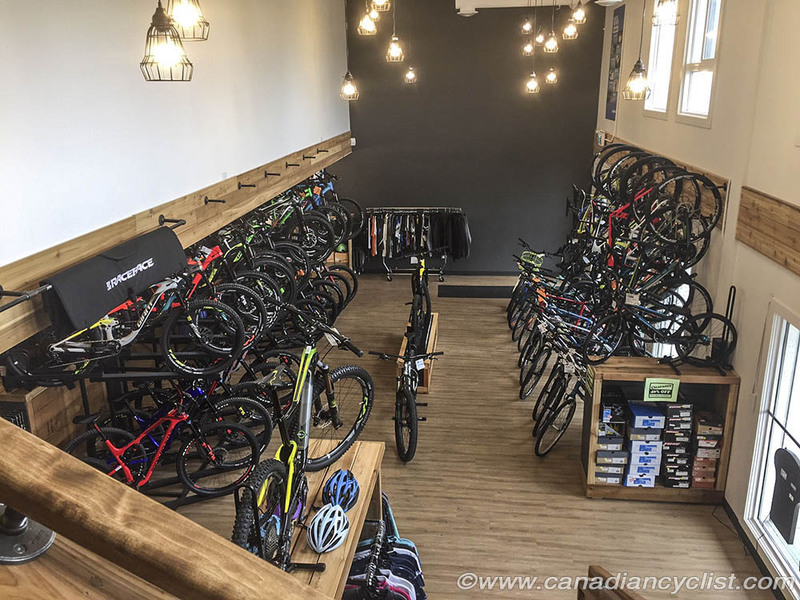 Graham Pye, one of the principals of Bike Bros (along with his wife Andrea), describes the store is "mainly mountain bike, with some road and gravel"; the latter category one that he says has been growing markedly for them recently, and is approaching the size of the Fat Bike sector. The main lines for Bike Bros are Marin, Giant and Rocky Mountain. While I was there, a local dad was in getting his daughter's bike packed for travel to the BMX world championships, excited about the trip, and the Bike Bros people were just as excited for him. Even though the new shop may look slick, the old school bike shop intensity was there. 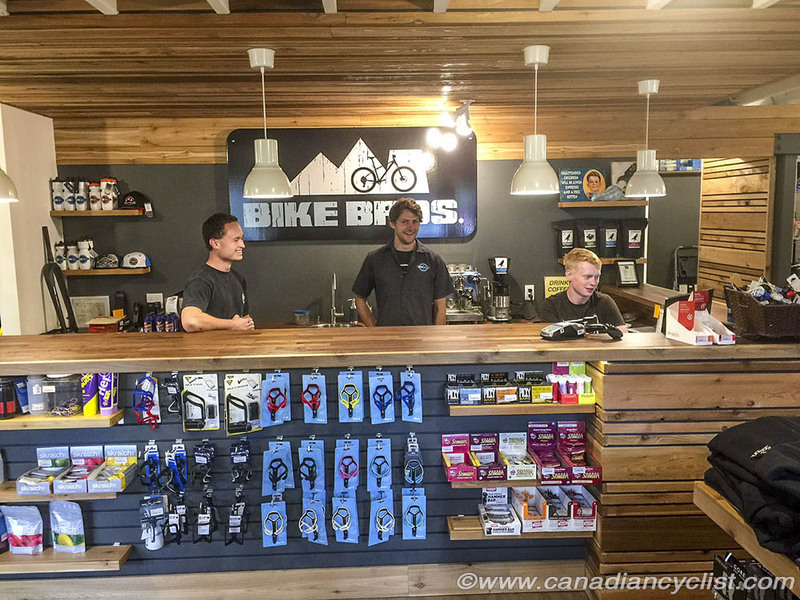 Congratulations to Bike Bros, a Canadian Cyclist Best Bike Shop! 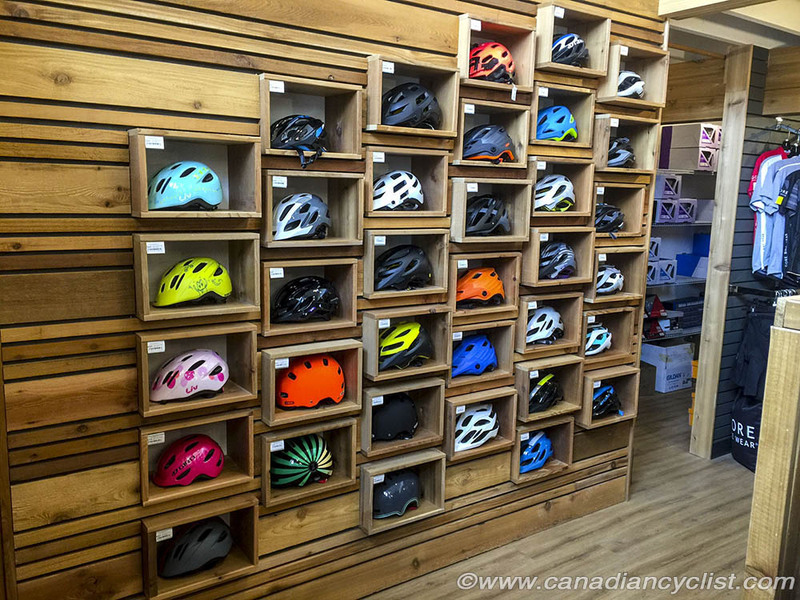 - Bike Bros is one of the reasons we decided to move to Cochrane. Whether it's for bikes, service, trail info or just good company over a coffee, the folks at Bike Bros bring cyclists together. A welcoming bike shop is important especially when you're new to town. Bike Bros is our community hub! - Graham, Andrea and the rest of the staff are always friendly and keen to help you out - whether you're looking for a top end mountain bike, or a bike to cruise around town. They are extremely knowledgeable and passionate about the products they sell. You won't be pressured into buying an expensive bike that doesn't suit your needs or made to feel like an idiot if you're not a bike geek at this shop! - They got my gears working after frustrating experience at two Calgary shops. I was just passing through Cochrane and asked about the issue and they told me to bring in the bike and got me rolling in half an hour. - They serve me a Mocha when I drop by to talk bikes.